The Velorama music and bicycling festival in Denver's River North Art District will not return in 2019. 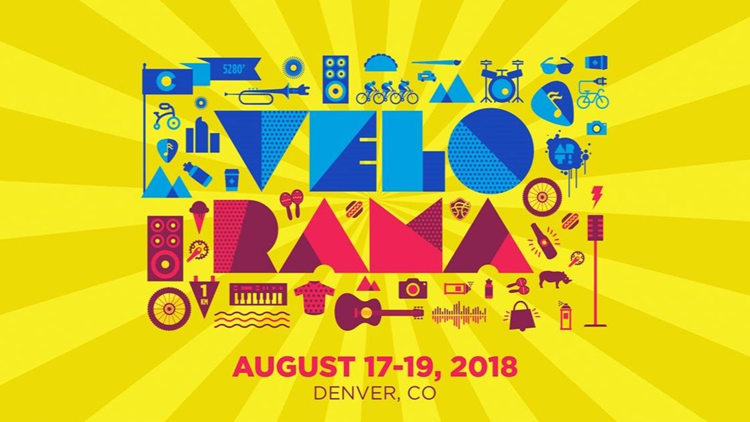 DENVER — After two years in Denver’s River North neighborhood, the Velorama music and bicycling festival will not return in 2019, according to a news release from the organizers. The festival was put on by RPM Events Group as a companion to the Colorado Classic bicycling race. Tuesday's Velorama announcement comes a few weeks after the organizers of the Colorado Classic said it would become a women’s only race. Last year, Velorama’s lineup included acts like Modest Mouse and the Cold War Kids. Grandoozy brought just over 55,000 attendees over the course of three days. The contract between Denver and the national events group Superfly allowed for a maximum capacity of 80,000 a day.